Dyslexia: What’s it all about? 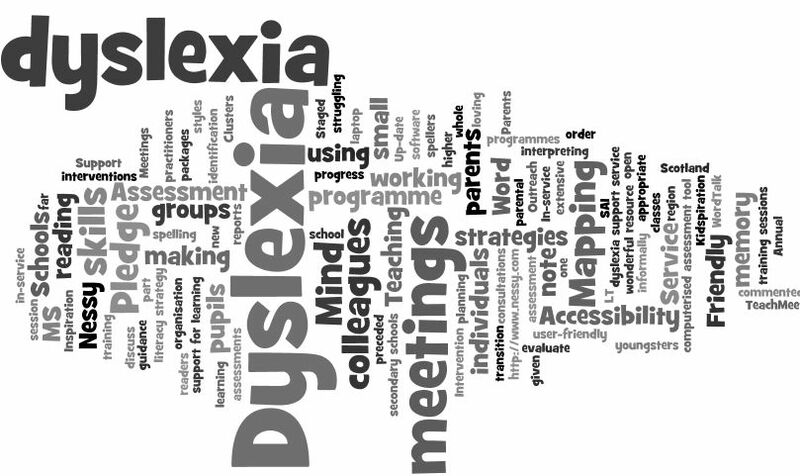 Dyslexia: What\’s it all about? Have small steps been used? Is the vocabulary easy to understand? Has large print been used? Is the font style appropriate? Has enough attention been given to presentation? Are there opportunities for self-monitoring and self-correction? Are the tasks within the child’s comfort zone? Are we doing enough to ensure that our learners with dyslexia are thinking, doing, learning and being all they can? 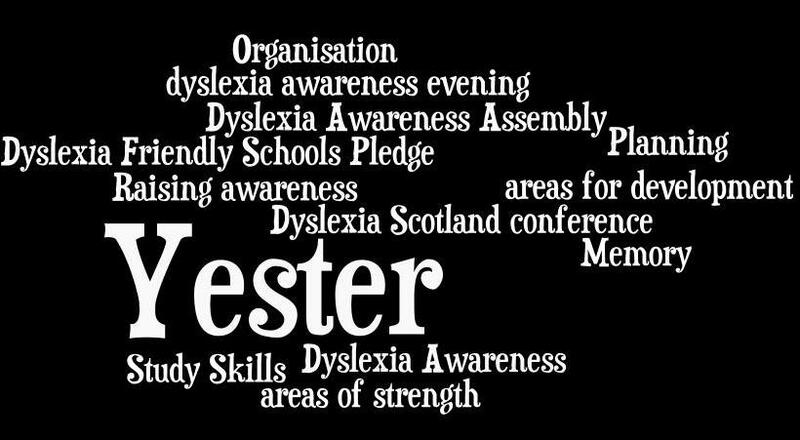 Dyslexia Scotland has links to presentations from their September conference which are well worth examining. They range from the local to the international stage. Jennifer Drysdale – a friend and former colleague – discusses her Workshop for Literacy: a Contextual Approach for successful learning which deploys early identification of core skills development and contextual assessment to enable young learners to read. She uses contexts created around ‘real‘books to create successful learning experiences. Pam Macdonald talks about a Paired Reading and Phonics programme whose aims are to give basic literacy skills so pupils can become independent in classes; to involve pupils in their own learning and encourage them to be active, analytical learners and to actively involve parents and guardians. Shirley Illman describes a transition to High School programme. A presentation from the CALL Centre gives advice on making text accessible. An accessible resource is defined as one that can be used effectively and with ease by a wide range of pupils. The resource can be adapted with the minimum of work for pupils who have a range of additional support needs. Accessible resources could refer to almost anything used in class or at home to support learning. Dr Laura-Anne Currie links Education for Learners with Dyslexia to How Good is our School and Curriculum for Excellence. Dr Margaret Crombie talks about the wonderful Assessing Dyslexia resource : ‘Assessment is integral to learning, teaching and the curriculum’. She makes strong links with the HMIE document and CfE too. Dr Gavin Reid’s presentation focuses on ‘The Decade Ahead; Recent reports and current research’. He starts with Scotland, and then discusses approaches in the U.S.A., Ireland, England and Wales, New Zealand, Canada and the Czech Republic. All of this is embedded in current theory. The keynote speaker, Rob Long, talks about behavioural issues connected to learning difficulties. A very useful set of presentations. • empowering schools because they recognise the importance of emotional intelligence. Several schools in East Lothian have made the DFS Pledge. Why doesn’t your school join them? Contact Hilery Williams for more information. Assessment: I have been involved in the assessment of 117 pupils this year and have met with the vast majority of the parents of these youngsters (and about 20 others already ‘on the books’) at least once. This is either at Staged Assessment and Intervention (SAI) meetings or more informally to discuss progress and programmes. These assessments and parental meetings are preceded by extensive consultations with colleagues. Once an identification of dyslexia has been made, we usually meet again to discuss any interventions that may be appropriate. Teaching individuals + small groups: I have worked with individuals and small groups of pupils on working memory skills, Mind Mapping and note making, MS Word Accessibility and strategies for organisation and planning as part of a transition programme for P7’s over the year. 5 children have helped me begin to evaluate the reading and spelling programme, ‘Nessy’. This is such a rich resource that 3 of the children will be continuing work on it next session. This is partly for their benefit of course, but also to allow me to decide whether I should encourage schools to buy ‘Nessy’ for their struggling readers and spellers. This is one of the software packages I was given with my new laptop: http://www.nessy.com/. So far we are loving it! Teaching whole classes: I have taught several classes the basics of Mind Mapping using Kidspiration and Inspiration. I worked with a P7 class on higher order reading skills. 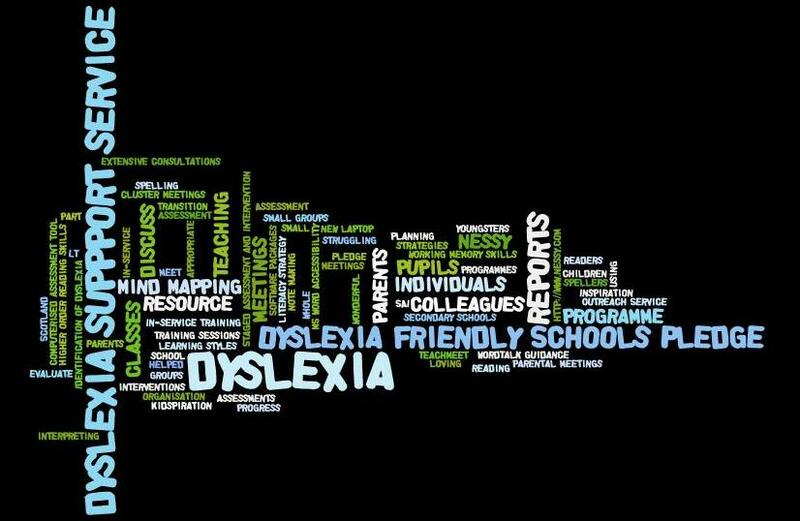 Parents’ Meetings: I have spoken to groups of parents at open meetings and presented an in-service session for a school as part of their Dyslexia Friendly Schools Pledge. The focus was on learning styles. Dyslexia Friendly Schools Pledge: The Pledge itself has had a re-vamp and is now ready to be incorporated into the literacy strategy for the region. 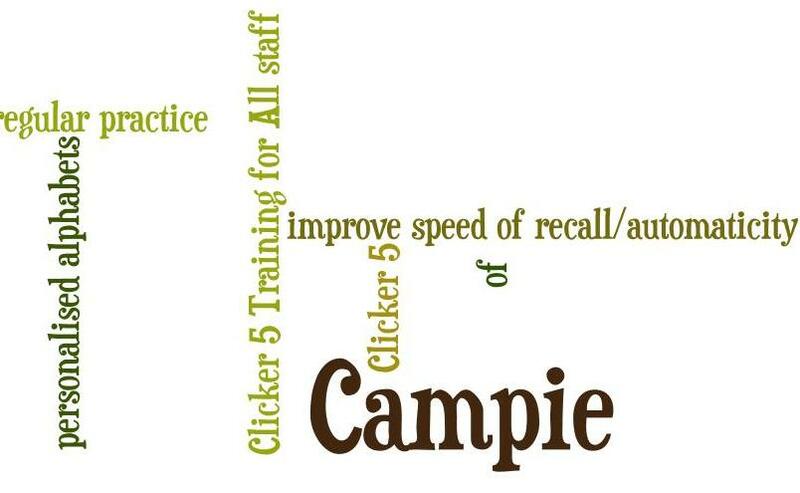 I have given training sessions to colleagues in 2 secondary schools on interpreting the computerised assessment tool and commented on the reports they have prepared subsequently. Of course I have attended meetings of the Outreach Service and both Clusters too. This is an up-dated version of the summaryI posted at the end of the Spring term. 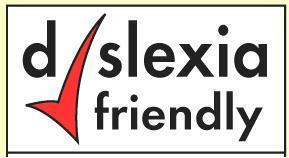 Calling all Sencos and teachers working with young dyslexic people. The Iansyst Dyslexia-Friendly Best Practice Awards 2009, created to recognise and celebrate “best practice for dyslexia provision in education”, have opened for nominations. The winner gets a laptop and appropriate software worth more than £1,000. The theme this year is ‘Celebrating the Strengths of Dyslexic Students’ and the awards will mark the second year the assistive technology specialist has organised the event. To enter teachers have to explain in 350-400, how they work to raise the awareness of dyslexia and establish a dyslexia-friendly environment at their schools. According to last year’s winner, Suzanne Edwards, the inclusion manager at Essex’s Notley Green Primary School, “The thinking behind my school’s strategy for SpLD provision is tiny steps can equal a profound change to the quality of a dyslexic pupil’s learning, so awareness among the entire school community is imperative. The winning prize worth more than £1,000 includes a Dell laptop and a bundle of assistive technology software such as Mind Genius mind mapping software, Audio Notetaker (see John Galloway’s review), text-to-speech software ClaroRead, VeritySpell for spell checking. Two runner-ups will receive the latest Toshiba G8 mobile phone and CapturaTalk scan and speak software (reviewed here). Entries close on Friday, December 4 with prizewinners announced on December 18.